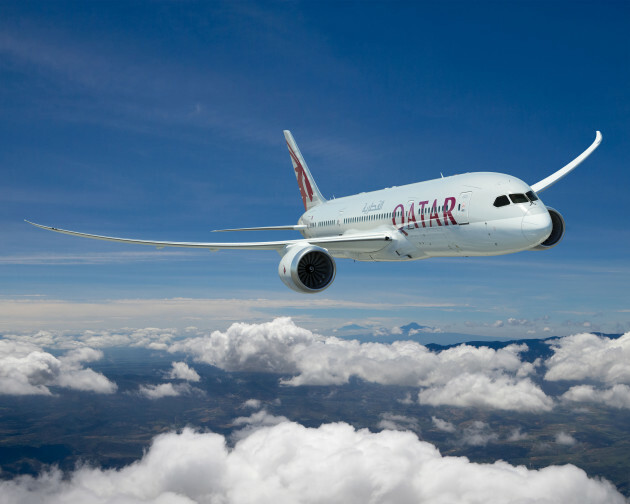 Qatar Airways has published a discount code offering 5% off fares in their Economy and Business Class cabins. Bookings must be made at qatarairways.co.uk by 18th April 2016, for various travel dates up to 15th December 2016. Sales period = 5th April 2016 – 18th April 2016 inclusive. Travel period = 5th April 2016 – 15th December 2016 inclusive. Offer valid on Qatar Airways operated flights only on selected destinations shown below. Offer valid on Economy Promo and Business Promo fares only. 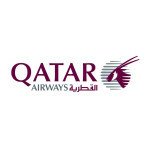 Purchases can only be made through www.qatarairways.co.uk by entering the promotional code “FLYFIVE” at the time of booking. 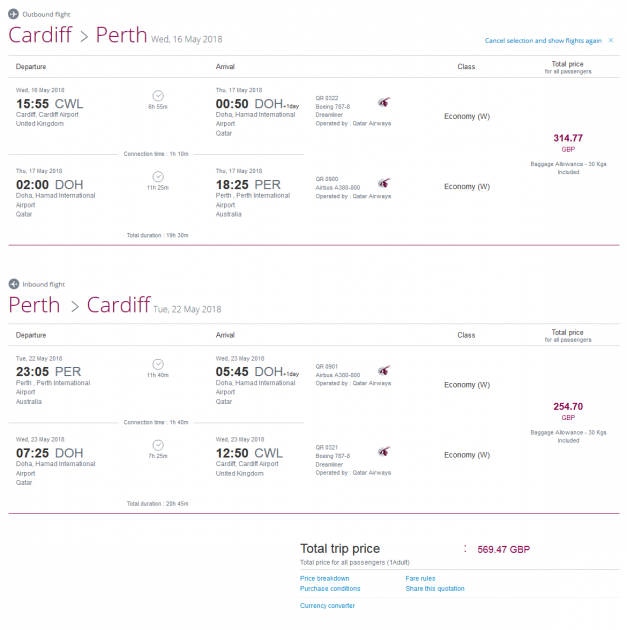 To check availability and book, visit qatarairways.co.uk. 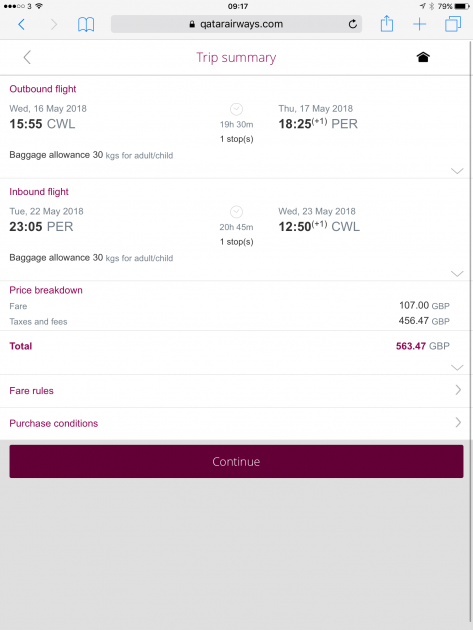 Qatar Airways has refreshed its two for one ‘companion’ fare offer for business class flights, with departures offered this time from selected African countries, including Tunisia, Morocco and Egypt. The fares are also once again combinable with an offer to oneworld alliance partner airline frequent flyers to earn double points on Qatar-operated flights for a limited period. Notable fares include Perth from Cairo – one of the more easily accessible African airports from Europe – at EGP27,253 or £2490 for two – equivalent to £1245 per person return. Bookings must be made at least 3 days in advance of travel and no later than 13th December 2013, for travel up to 31st March 2014. The majority of fares are changeable for a fee of USD250 plus any difference in fare, and they accrue full frequent flyer points – doubled for eligible oneworld alliance frequent flyers travelling between 15th November 2013 and 31st January 2014 – although the periods 18th December to 23rd December and 2nd to 12th January are excluded for 2-4-1 travel. Members of Cathay Pacific’s Marco Polo club have a slightly earlier promotion end date of 24th January 2014. The example Perth fare above will earn up to 400 Tier Points per person round trip in the British Airways Executive Club loyalty programme; increased slightly thanks to the fact that the Cairo to Doha and Doha to Cairo sectors actually book in to First Class. Avios earnings will be at least 18,366 for a Blue Executive Club member.